In Chapters 6, 7 and 8, the use of media incorporated into a particular course or program was explored. In this chapter, the focus is on deciding whether a whole course or program should be offered partly or wholly online. In Chapter 10 the focus is on deciding when and how to adopt an approach that incorporates ‘open-ness’ in its design and delivery. Online learning, blended learning, flipped learning, hybrid learning, flexible learning, open learning and distance education are all terms that are often used inter-changeably, but there are significant differences in meaning. More importantly, these forms of education, once considered somewhat esoteric and out of the mainstream of conventional education, are increasingly taking on greater significance and in some cases becoming mainstream themselves. As teachers and instructors become more familiar and confident with online learning and new technologies, there will be more innovative methods developing all the time. open educational resources, available for free downloading online, which either instructors or students can access to support teaching and learning. 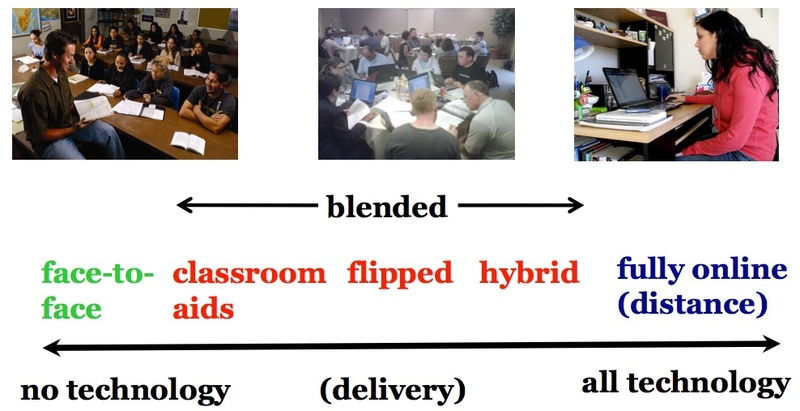 There is an important development within blended learning that deserves special mention, and that is the total re-design of campus-based classes that takes greater advantage of the potential of technology, which I call hybrid learning, with online learning combined with focused small group face-to-face interactions or mixing online and physical lab experiences. In such designs, the amount of face-to-face contact time is usually reduced, for instance from three classes a week to one, to allow more time for students to study online. 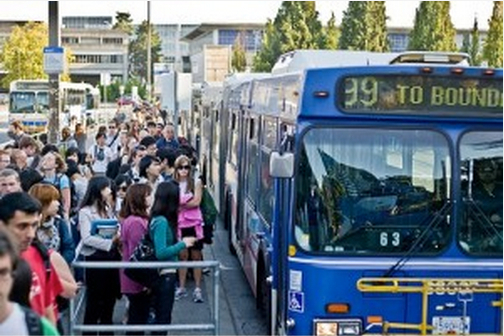 The University of British Columbia launched in 2013 what it calls a flexible learning initiative focused on developing, delivering, and evaluating learning experiences that promote effective and dramatic improvements in student achievement. Flexible learning enables pedagogical and logistical flexibility so that students have more choice in their learning opportunities, including when, where, and what they want to learn. Thus ‘blended learning’ can mean minimal rethinking or redesign of classroom teaching, such as the use of classroom aids, or complete redesign as in flexibly designed courses, which aim to identify the unique pedagogical characteristics of face-to-face teaching, with online learning providing flexible access for the rest of the learning. what kind of course or program should I be offering? what factors should influence this decision? what is the role of classroom teaching when students can now increasingly study most things online? if content is increasingly open and free, how does that affect my role as an instructor? when should I create my own material and when should I use open resources? should I open up my teaching to anyone, and if so, under what circumstances? This chapter aims to help you answer these questions. 1. If you are currently teaching, where on the continuum is each of your courses? How easy is it to decide? Are there factors that make it difficult to decide where on the continuum any of your courses should fit? 2. How was it decided what kind of course you would teach? If you decided, what were the reasons for the location of each course on the continuum? 3. Are you happy with the decision(s)? 9.1 The continuum of technology-based learning by Anthony William (Tony) Bates is licensed under a Creative Commons Attribution-NonCommercial 4.0 International License, except where otherwise noted.